Let’s face it. The cost of living is high. Much higher for us than it was for our parents. Despite working long hours and doing our best to make shrewd choices when it comes to household purchases many of us are dangling by a thread financially. As we dangle over the precipice we see below us a roiling sea of debt and loss. We want to avoid it at all costs but the ground into which we’re desperately digging our fingers feels like it could crumble at any moment and send us plunging into an abyss of financial uncertainty. Payday loans online are a perfectly acceptable short term solution but they need to be handled intelligently. You should know exactly how much you need, what your interest payments should be and exactly when you should have it paid back. For many of us, though, prevention is usually the best strategy. Here are some easily achievable ways to bulletproof your bank balance to inoculate you against any unpleasant surprised if you should find yourself facing an unexpected financial difficulty or temporarily unable to work. 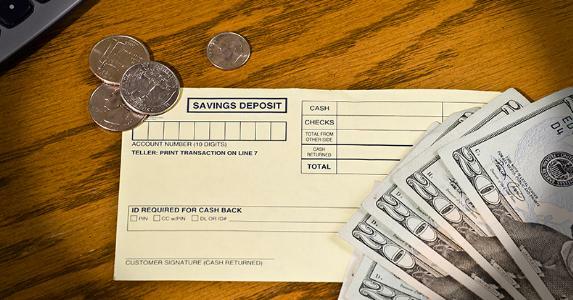 There’s really no substitute for a healthy savings account but with the rising cost of rent, groceries and utilities many people are finding themselves drastically reducing the amount they squirrel away for the future, or are dissuaded from saving altogether. The good news is that any saving, however small, is helpful so long as you get into the habit of doing it regularly (even if it’s just a penny jar). Little lifestyle changes can make a huge difference too. Quitting smoking (or at the very least cutting down) and putting what you would have spent on cigarettes into your savings account at regular intervals is a great way to watch the balance climb. That latte you get yourself from Starbucks on the way to work every morning? Why not take a thermos full of your own coffee in the morning and treat yourself to the expensive latte on Friday? Making extra on the side… With your phone! Thank Heaven that you live in the smartphone age because there’s a wide range of apps that can help you make substantial savings and even a little extra cash here and there with a minimal investment of time and effort. Most of us have a shelf that’s bowing under the weight of all the books, CDs, DVDs and Blu ray discs that lie unused gathering dust. Be sure to rotate them on a regular basis, be ruthless and sell off any that you have no desire to see / hear/ read again before they depreciate in value. By downloading the Decluttr app and scanning in the barcodes of your items you will instantly know how much you can expect to make from your unused clutter. They’ll even send you a box or envelope to put your stuff in and come and collect it for you, resulting in quick and easy cash for you to stash away for a rainy day.